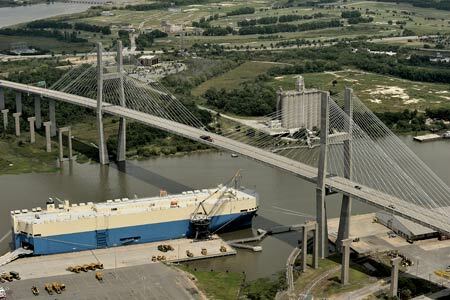 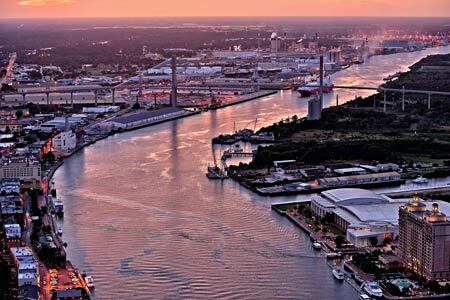 We will fly over the Port of Savannah, the largest single container terminal in North America. 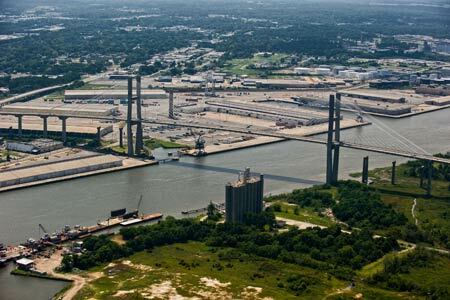 You will have amazing views of the Talmadge Memorial Bridge that spans the Savannah River between downtown Savannah and Hutchinson Island. 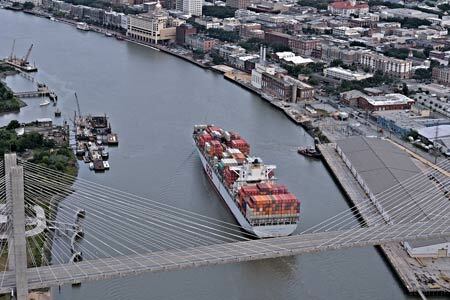 The bridge provides 185 feet of vertical navigational clearance for ocean going vessels. 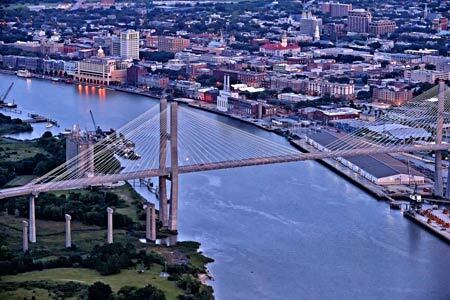 It is one of the most photograghed landmarks in Savannah.